STRAIGHT FROM THE DEVS: London, UK – 12 Dec. 2017: With the scars of warfare still littered all over its landscape, there are few exercises more worthwhile for a developer working on a game anchored around the defining battles of World War II than a trip to Normandy. Throughout the development of Battalion 1944™, the team behind it - the talented folk at Derby-based studio Bulkhead Interactive™, who previously developed The Turing Test - have visited the north of France for inspiration. Indeed, their latest venture across the English Channel forms the basis of a brand new behind-the-scenes video that details both the development process, and exactly what the studio hopes to achieve come launch. The video sees the team take a look back at the personal impact working on Battalion 1944 has had on their lives, with Joe Brammer - Executive Producer and Director at Bulkhead Interactive - opening up about the positive influence the game has had on him during some difficult times in his personal life since development began. This, however, is just the beginning. As revealed by Brammer in the video, Tuesday 9th January will see Bulkhead publish the game’s worldwide reveal trailer, building up to Battalion 1944’s release not long afterwards. 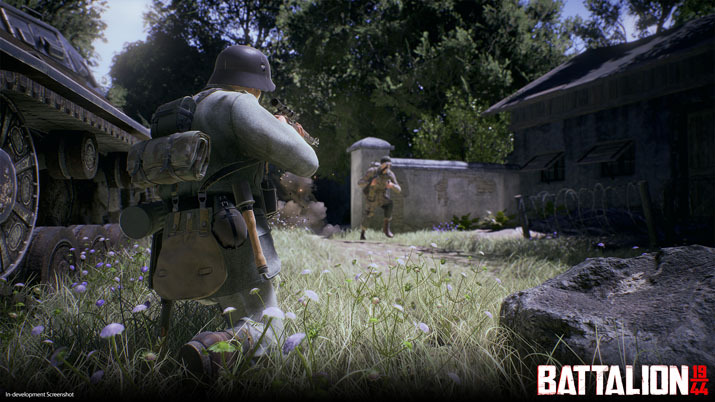 Bulkhead Interactive and Square Enix Collective can also reveal that Battalion 1944 will retail for £11.99/€14.99/$14.99. Keen-eyed observers will notice that’s actually less than the bottom tier during the game’s Kickstarter campaign. 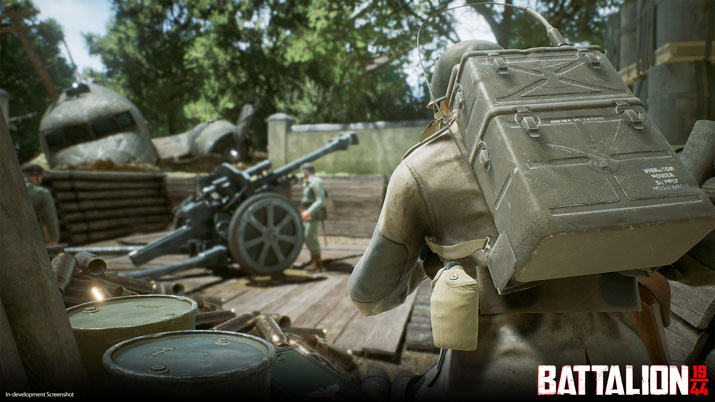 As a result, those who backed Battalion 1944 when it was just a spark in Brammer’s synapses, will be rewarded with unique-to-backers only skins and multiple cosmetic and vanity-focused loot crates. Bulkhead’s next big reveal is set for January 9th for the worldwide reveal of Battalion 1944’s latest gameplay trailer.